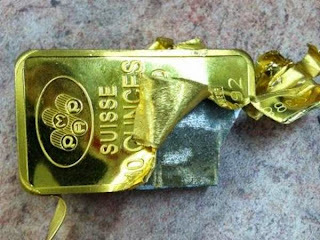 This could be evidence that the gangster gold custodians have empty cupboards. More financial forensic sleuthing needed. 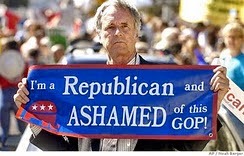 Whistleblowers welcome. Until then hold gold AND silver in coin form only and off premise. Two years ago, stories of fake tungsten-filled gold coins and bars began to spread; it appears, between the shortage of physical gold (after Asian central bank buying) and the increase in smuggling (courtesy of India's controls among others) that gold fraud is back on the rise. As SCMP reports, a mainland China businessman, Zhao Jingjun, discovered that HK$270 million of 998kg of gold bars he bought in Ghana had been swapped for non-precious metal bars. 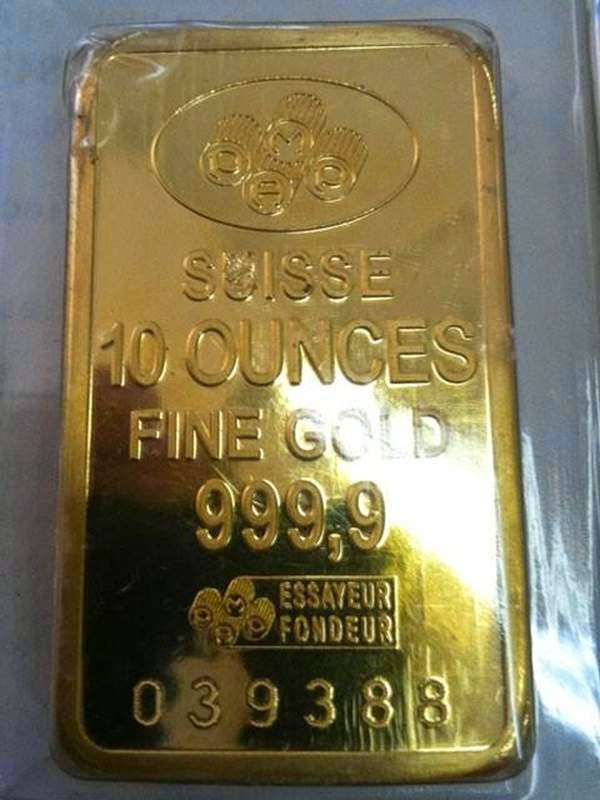 What is perhaps even more worrisome, given the probe into commodity-financing deals and the rehypothecation evaporation; these gold bars were shipped to a Chinese warehouse before Zhao was able to confirm the fraud. 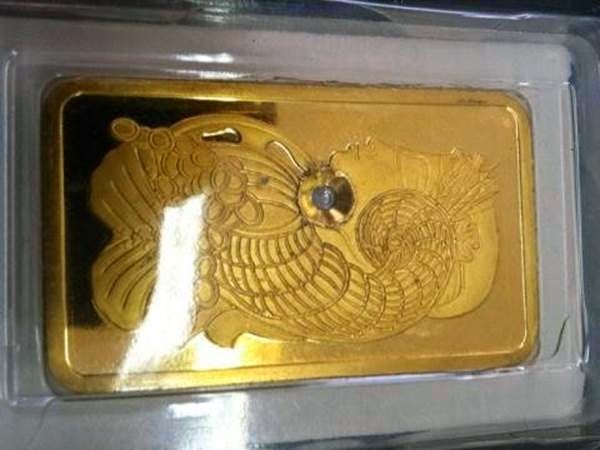 As South China Morning Post reports, police were last night making arrangements with a mainland businessman to check whether HK$270 million of gold bullion he bought in Africa was genuine after part of the consignment was swapped with metal bars. A senior officer said it would be the city's biggest heist in a decade if it was confirmed that all the gold had been stolen. 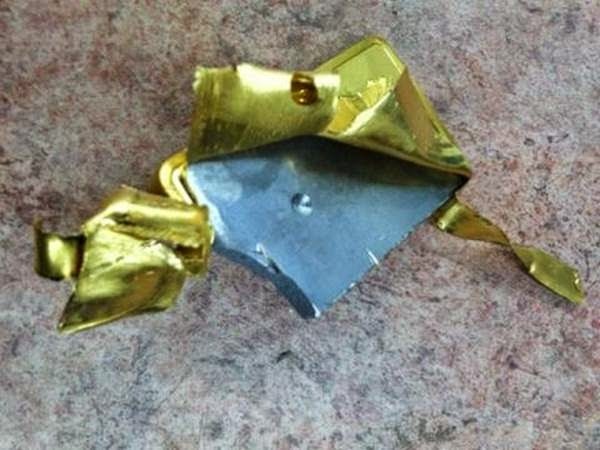 "Officers were told that his employee confirmed the cases contained the gold before it was loaded onto the chartered flight in Ghana," a police source said. The businessman arrived from Hebei province on Monday and checked into the Kowloon Shangri-La hotel in Tsim Sha Tsui. On Wednesday, he had five of the cases couriered to his buyer's Hung Hom office. "When he opened the boxes, he found they were filled with metal bars instead of gold bullion," the source said. "He told officers the cases appeared to have been tampered with." A police investigator said: "We don't rule out the possibility that the gold bullion may have been switched for metal bars before being delivered to Hong Kong." Zhao has reportedly made several such transactions. His business activities include the purchase of iron ore from Australia, Africa and South America. Four years ago, 265 gold bars were taken from a Yuen Long company. Police arrested three men and recovered most of the HK$90 million in bullion stolen. We can't help but feel this is not the last time as commodity-backed financings are unwound en masse and the underlying collateral found missing... sourcing the underlying by any means will be on the rise. For those who want to learn more about China and gold, please read "How China Imported A Record $70 Billion In Physical Gold Without Sending The Price Of Gold Soaring"